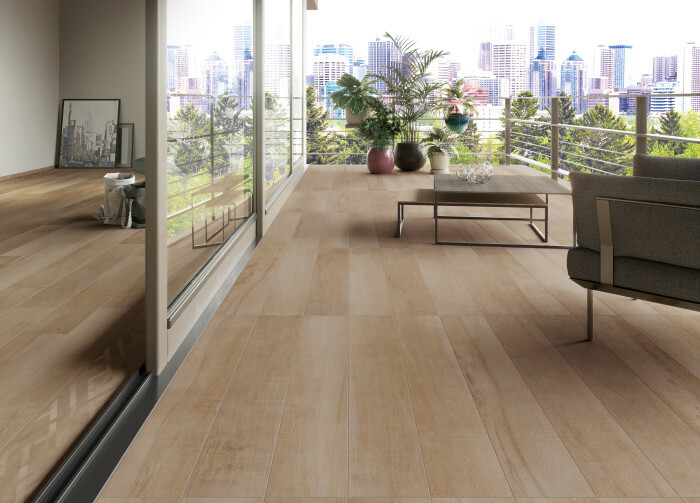 With close to 30 different varieties of wood-look porcelain in several sizes, colors, grains and textures in our product line up, Bedrosians Tile & Stone is excited to bring to you a new series called Antique. 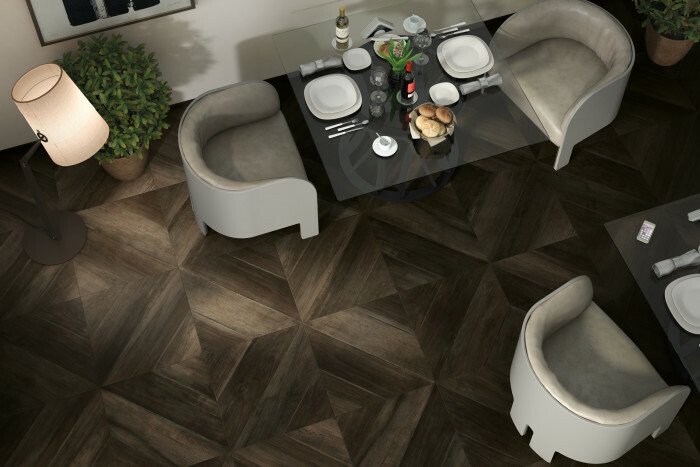 Inspired by an antique wood table from a Franciscan monastery, our Antique wood-look porcelain collection updates vintage design with a contemporary feel. Offered in three colors and two sizes, Antique delivers a traditional and refined design. This size brings grandeur and expanse to your space. 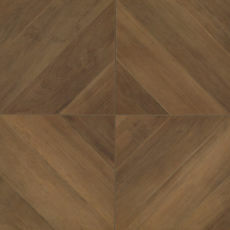 These diagonal-patterned squares make large diamond shapes when set together, creating a parquet look. 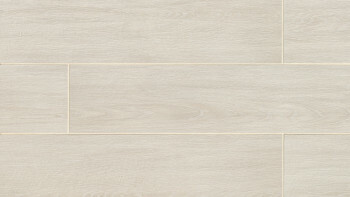 Wood-look porcelain tiles are as close as you can get to scratch proof vs other flooring options. You won’t need to worry about your kids, pets or furniture scratching the floor. Tile doesn’t take on moisture like wood does. This means no warping, cracking, expanding, or staining either. Because it holds up in wet areas, feel free to use it the kitchen, bathroom and shower, laundry room and any other moisture-prone areas in your home. 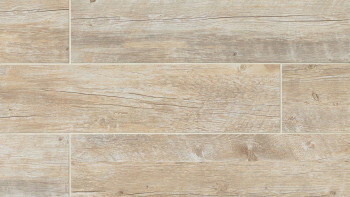 Because of its extreme durability, wood-look porcelain is being used commercially where wood flooring was once thought to not be durable enough. 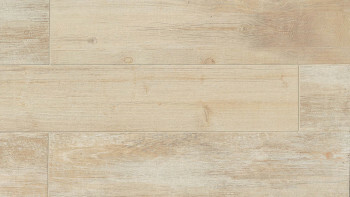 Enjoy the look of a wood floor in the busiest restaurant, grocery store or building lobby. 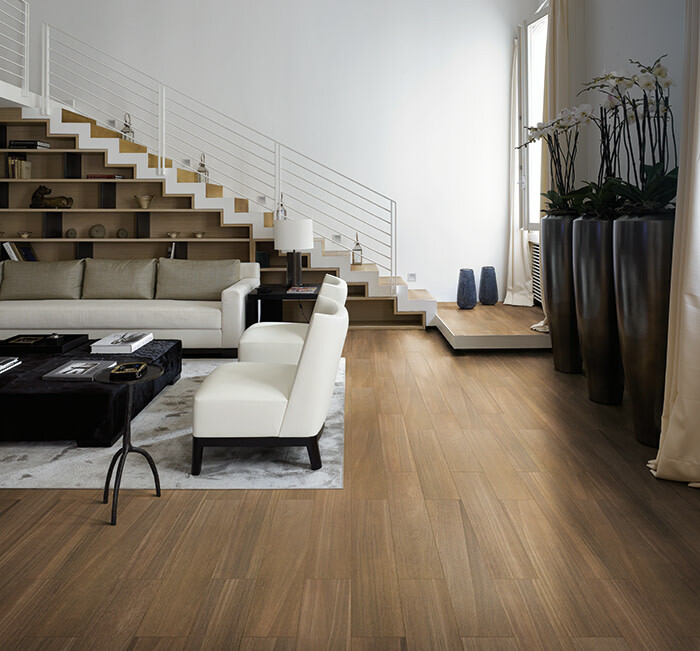 Porcelain wood-look tile allows you to live life on your floors without the worry of damaging them. It is stain resistant and repels moisture for easy maintenance. Conversely, natural wood is prone to scratches, dents, warps and will need to be refinished over time. 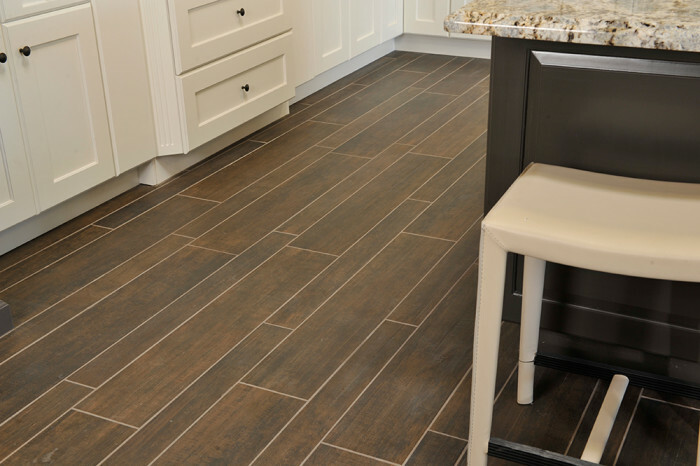 Using porcelain tile removes the time and worry needed to maintain real wood. Relax and let the kids and pets run free! 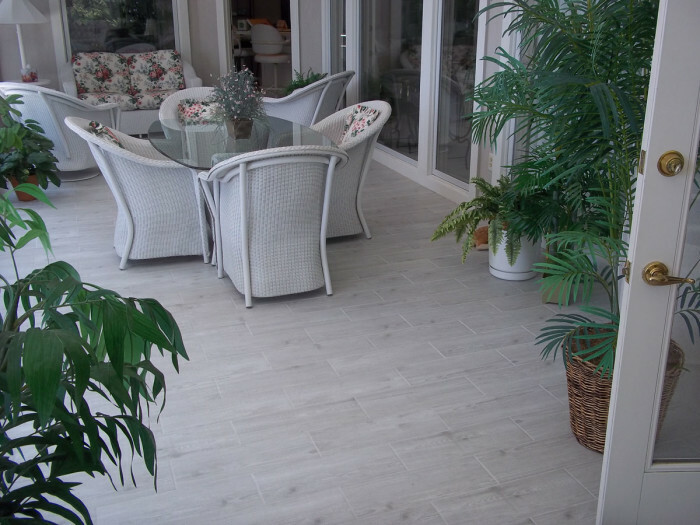 If you have a sun room or solarium, tile the floor with porcelain and fill it with plants without worry about spills, drips or moisture. 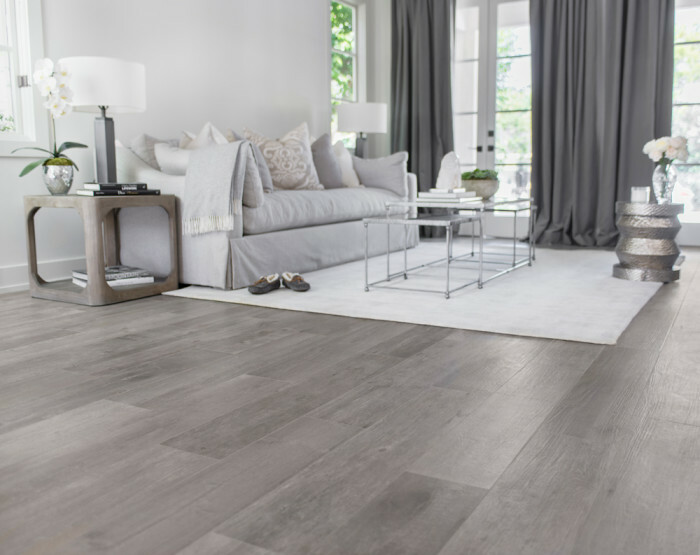 And, unlike natural wood, porcelain is resistant to fading and sun damage, so your floor will retain its beauty for a lifetime. 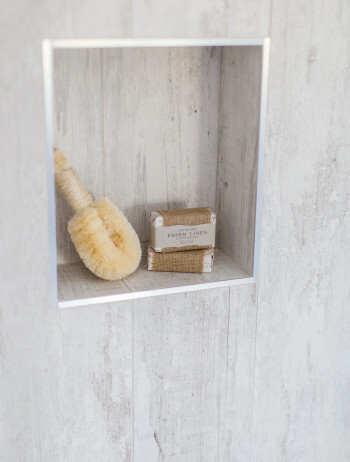 Whether you are looking for a sleek dark finish, rustic whitewash or urban reclaimed looks, our products offer you the design freedom to use on floors, walls, counters, outdoor spaces and even your shower. 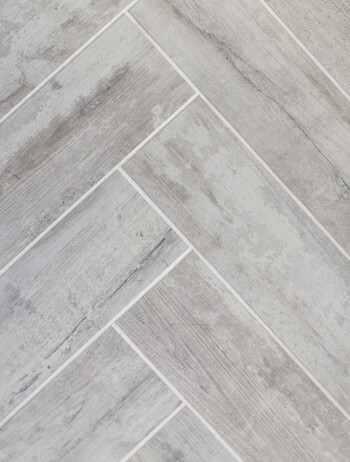 You also have many sizes to choose from, from the small 6"x24" tile, which is perfect for creating herringbone patterns, to large format 8"x48" planks that bring grandeur and help expand the look of your space. 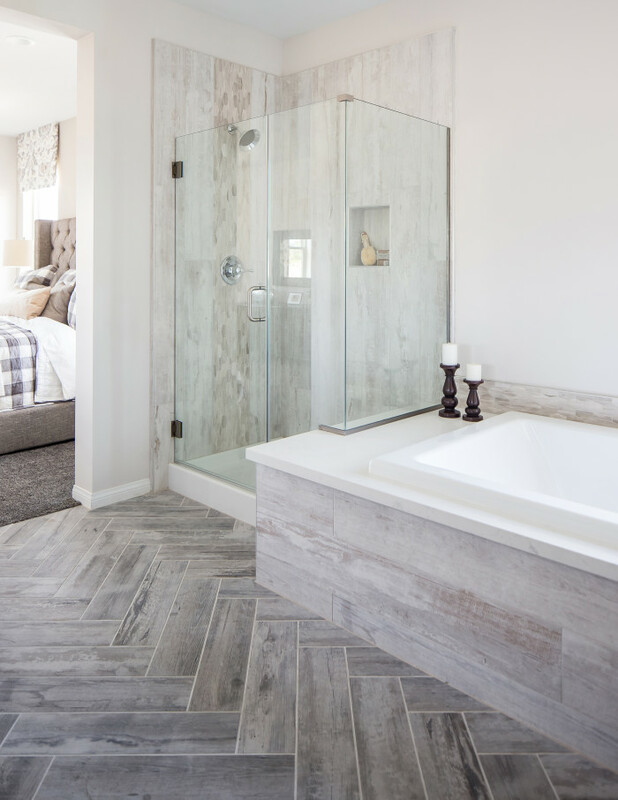 Even though wood-look tile can be hard to distinguish from the real thing, not everyone uses it simply as an alternative to natural wood. Choose it to instill the flavor of a wood-visual in a space and appreciate the authentic-looking replica and the hint of nature it inspires. 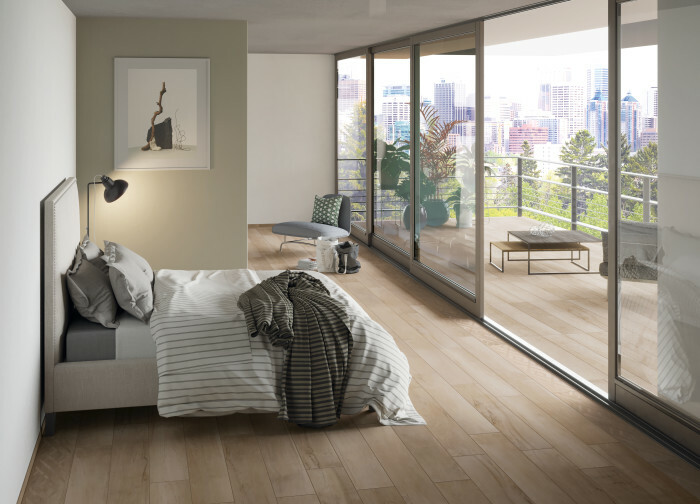 Wood-inspired porcelain offers a warm, comforting look to your decor, yet remains cool to the touch due to its porcelain composition. If you live in a colder climate, consider installing a floor warming system under your tile. This works especially well to create a spa-like feel in your bathroom. Just turn on the thermostat, and you'll experience a cozy, natural looking floor under your bare feet when stepping out of the shower. 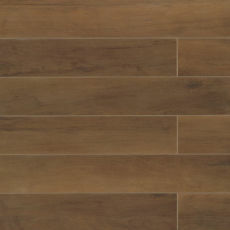 Porcelain tile is less expensive to produce than hardwood. 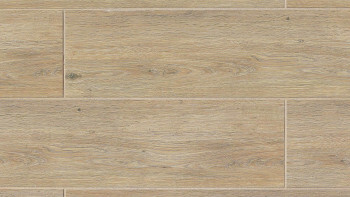 Generally there is not much difference in cost between larger format tile planks and the smaller options. 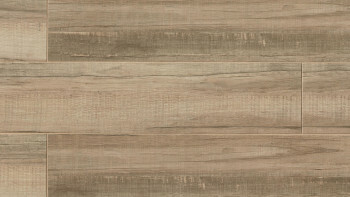 Unlike wood which is separated into species, porcelain tile is priced more consistently, regardless of the wood it replicates. Which means, you probably won’t pay much more for replicated Mahogany, Brazilian Walnut or Zebrawood than you would for knotty pine look-alikes. And you certainly save on the expense it takes to upkeep and maintain natural wood floors over the years, since there is never a need to sand and restain. 1) Mostly solid color tile. Pick the most consistent color in the tile and select a grout as close to that color as possible. 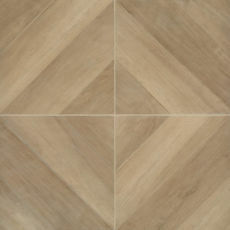 With wood-look tile, you really don’t want your grout to steal the show, you want it to blend and disappear. 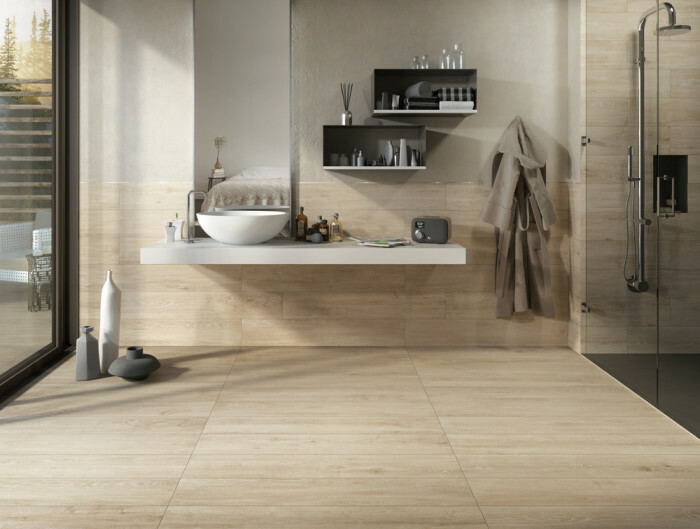 A grout color that contrasts with the tile can detract from the continuous and organic feel that wood-look porcelain is trying to achieve. 2) Heavy variation tile. 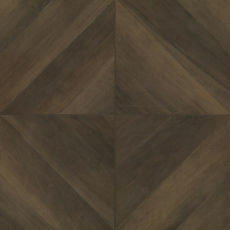 Match your grout to the darkest color in your wood-look tile. Over time, the grout will naturally darken with the wear and tear of everyday traffic. Darker grout tends to hide this. Plus it won’t draw attention to itself set against your tile. 1) Mininum of 3/16" grout joint size. 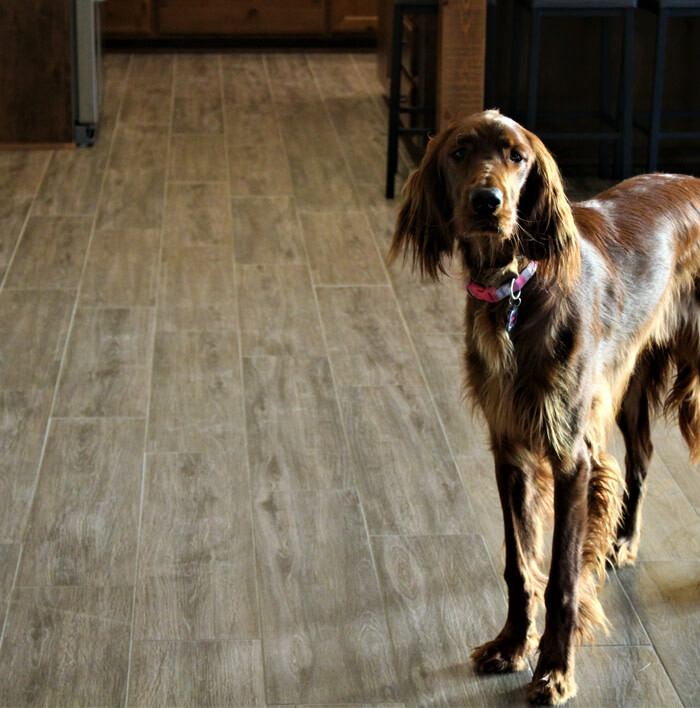 Since natural wood floors don’t have much of a joint, you don’t want your tile to either. The minimum recommended grout joint for any large format tiles (any one edge is greater than 15”) is 3/16”. 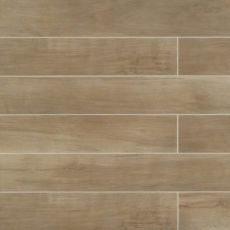 All our wood-look tiles are considered large format. Smaller grout joints void any warranties. Without this size joint, the tile won’t be able to adjust to minuscule movements in the subfloor and you’ll end up with breakage, lippage, and an uneven surface. 1) Using a leveling system. Tile lippage is one of the worst things to happen to your floor. A slightly uneven floor or material problem can compromise the entire project if you’re not careful. 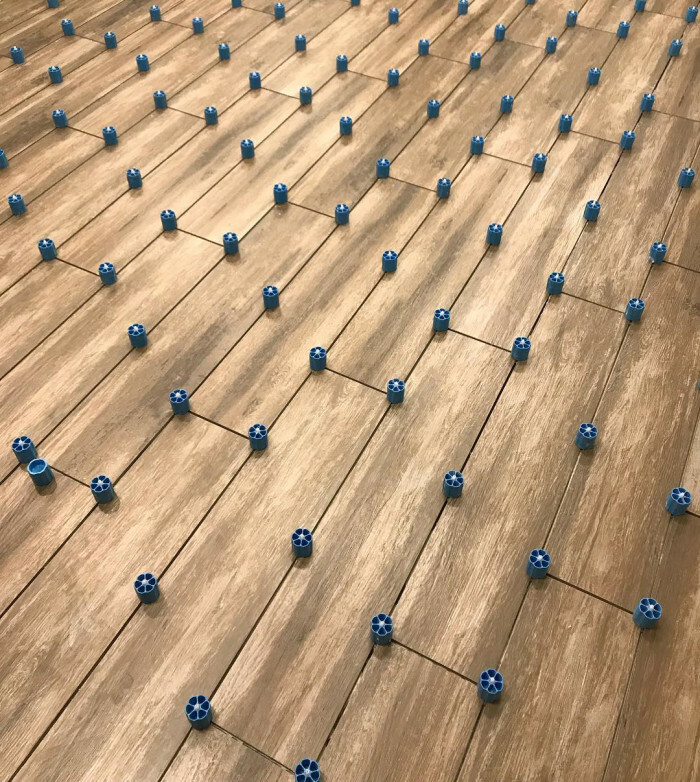 One of the most common mistakes contractors and DIYers make is not using a tile leveling system to prevent tile lippage. Not only is the difference in height between the edges of the adjacent tiles aesthetically unappealing, but it can also turn into a tripping hazard. We recommend a tile leveling system to prevent tile lippage, especially when dealing with large format tiles. 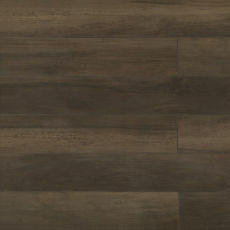 With its beauty, durability, easy maintenance and variety, wood-look porcelain tile is perfect for your next project. 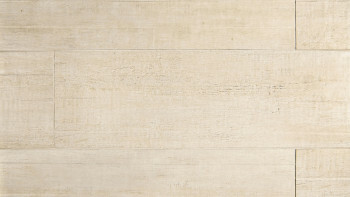 Explore our huge selection of wood-inspired tile.